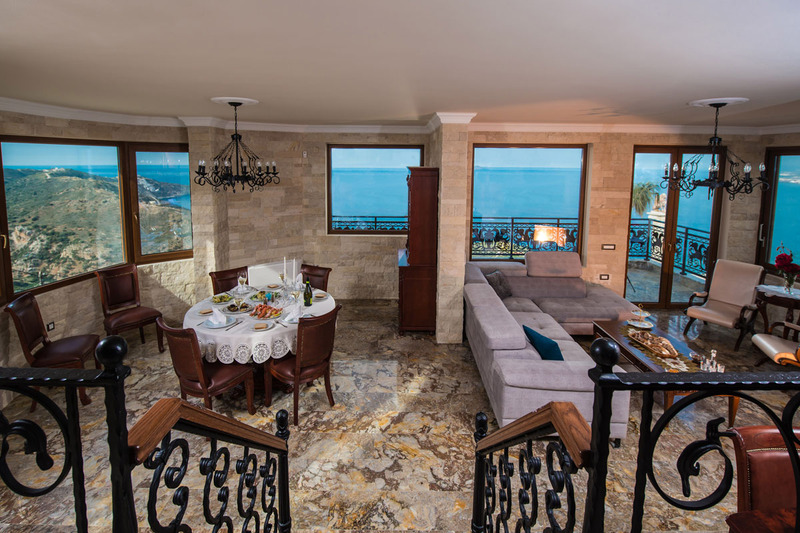 Bella Mare is uniquely designed to sleep ten people comfortably, with five bedrooms. 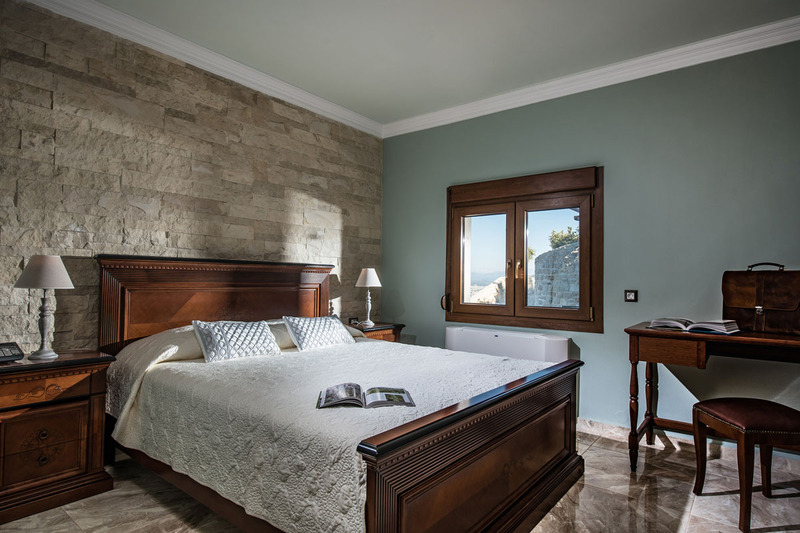 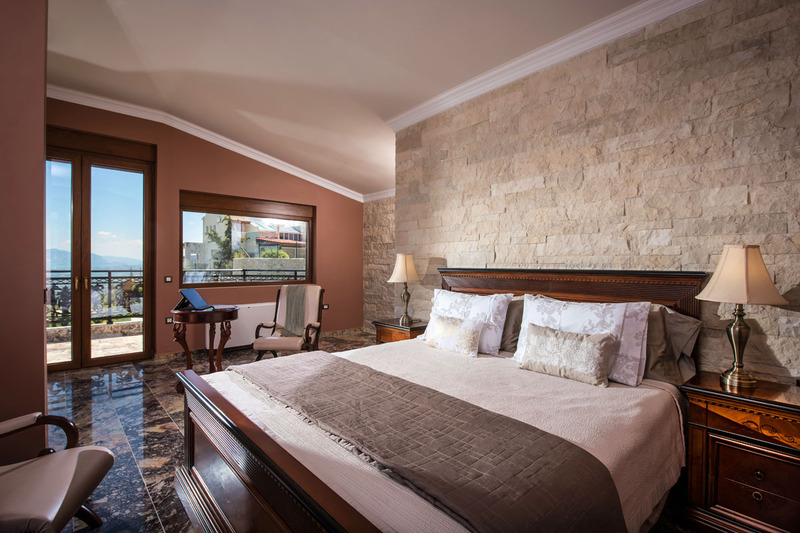 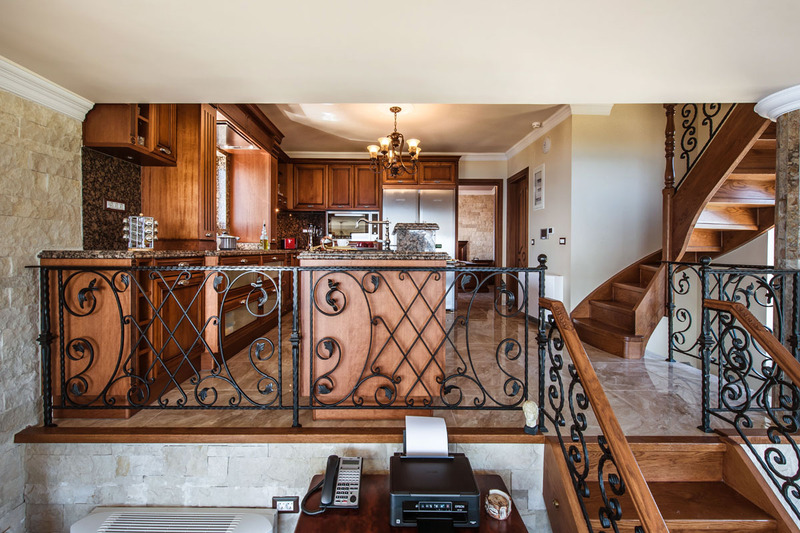 Located on the top floor is the master suite, furnished with comfortable beds and elegant bedroom furniture. 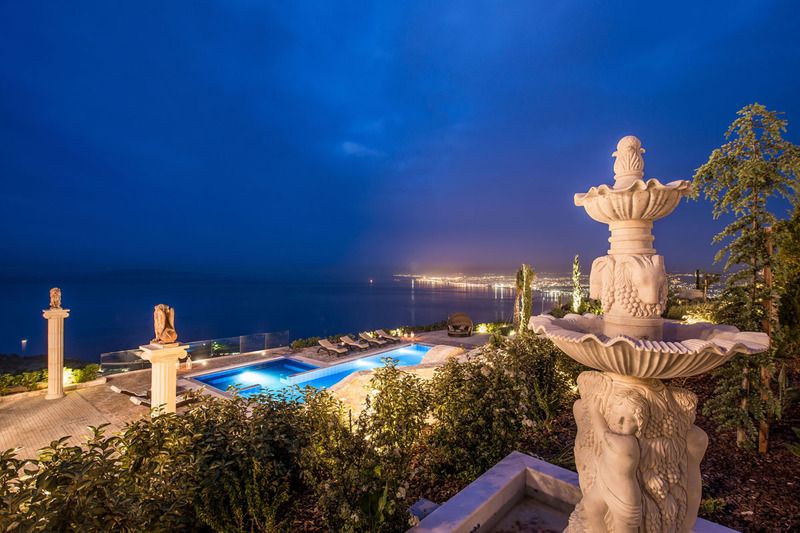 Watch the light dance across the waves of the Mediterranean as the sun sets from the comfort of your private balcony, a perfect place for a romantic evening. 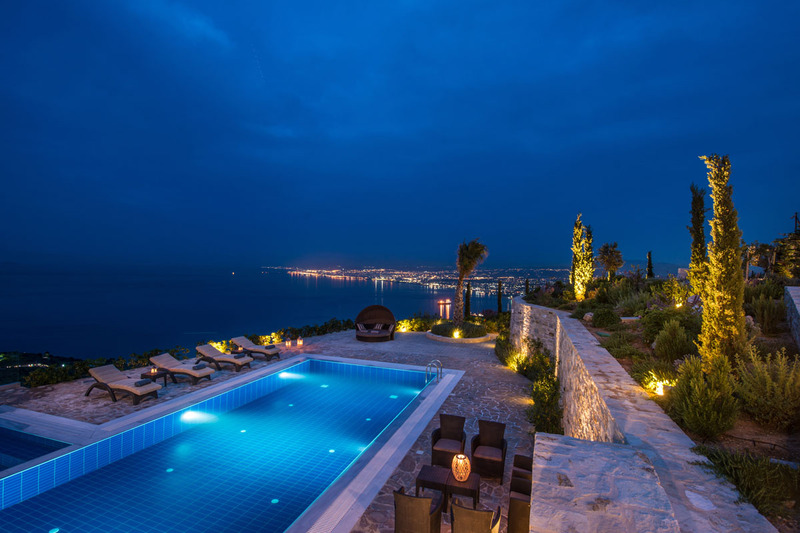 and breathtaking views of the sea. 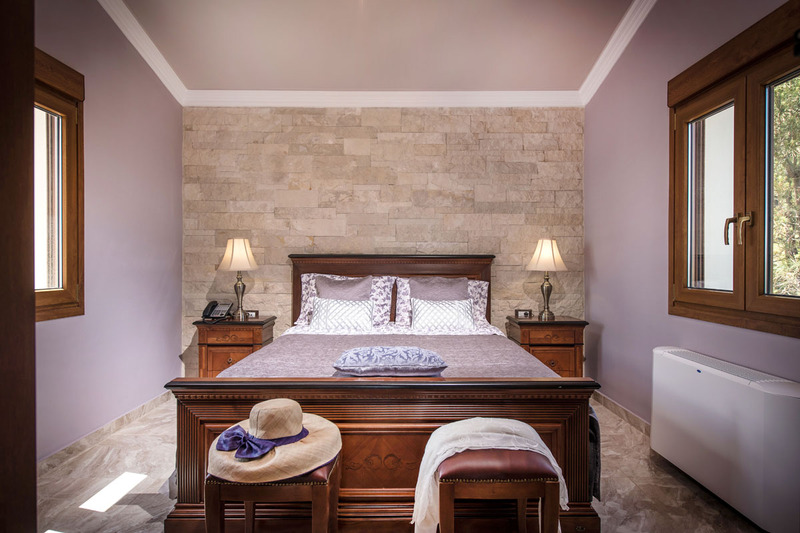 All bedrooms have unique features and decor that leave all guests with a unique and memorable experience, no matter which bedroom they stay in. 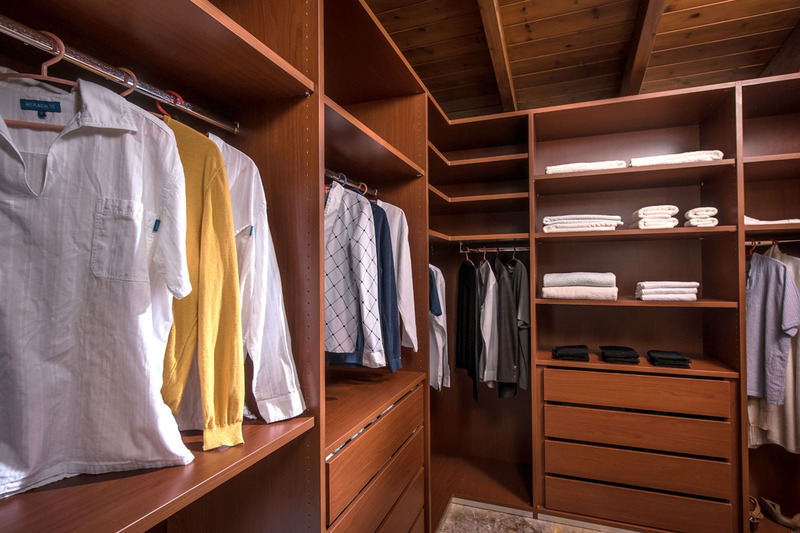 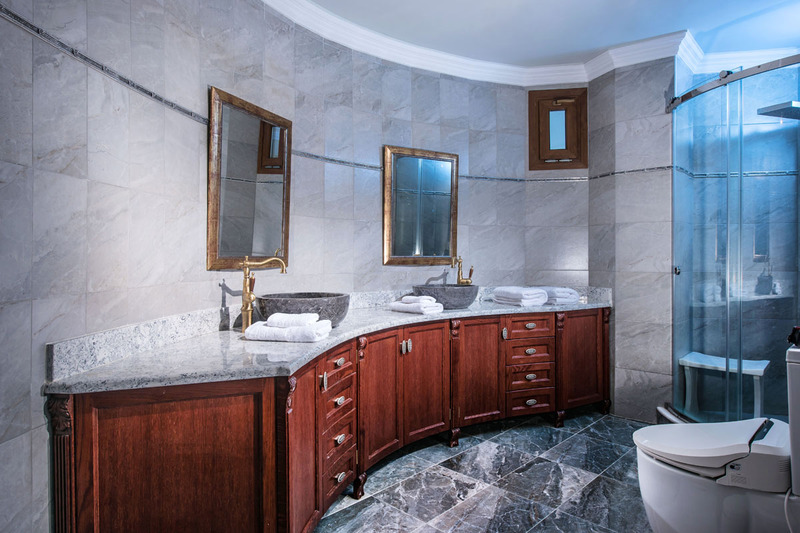 There are two full bathrooms outfitted with the finest accommodations. 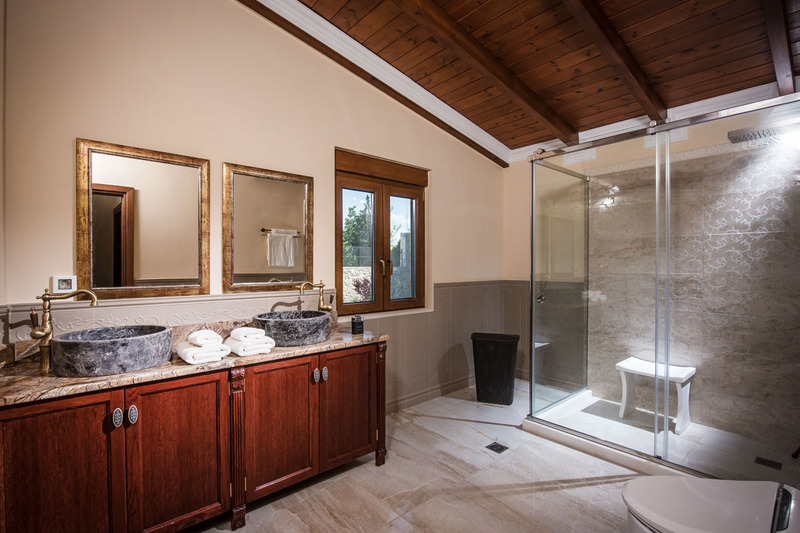 The first on the lower floor and a second in the master suite, along with a half bathroom near the living room area. 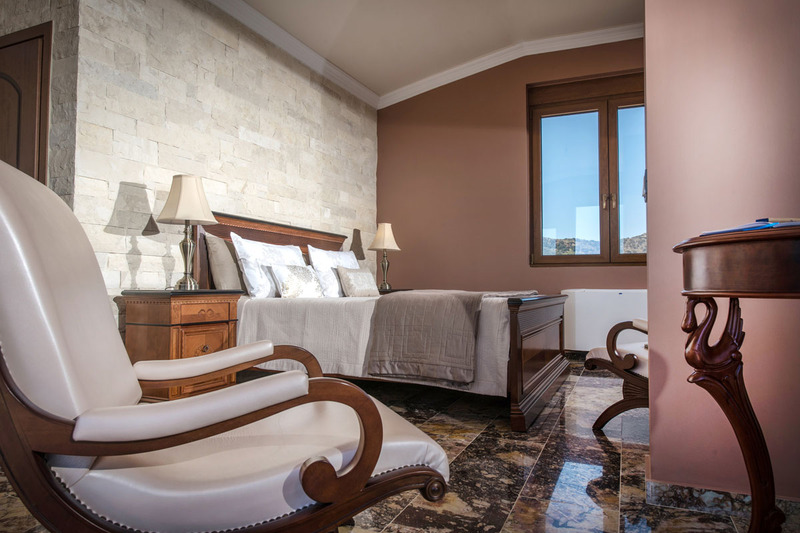 With an interior decorated in gorgeous marble and tiles, the villa is designed to give the guests the most elegant experience possible. 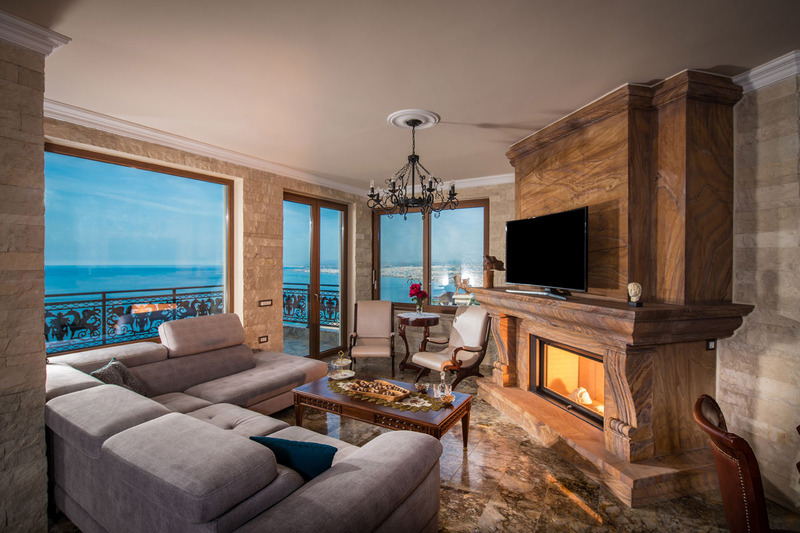 The fireplace is made of a rare river stone from India that resembles wood. 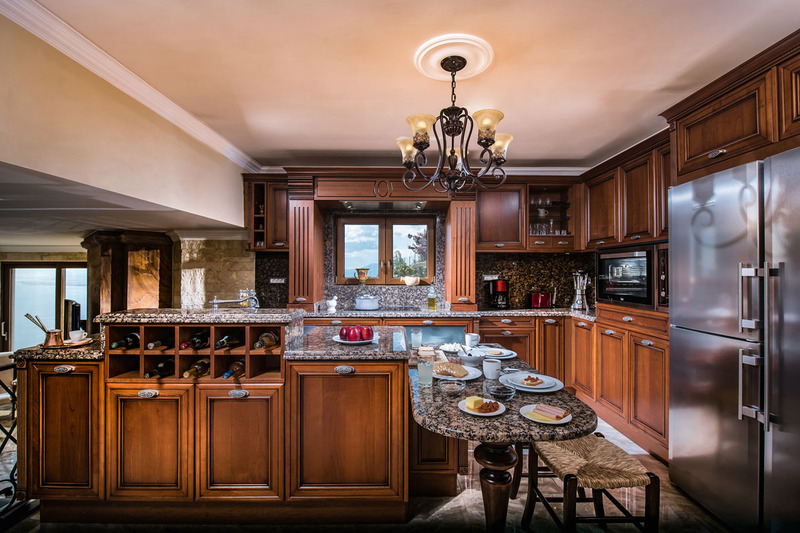 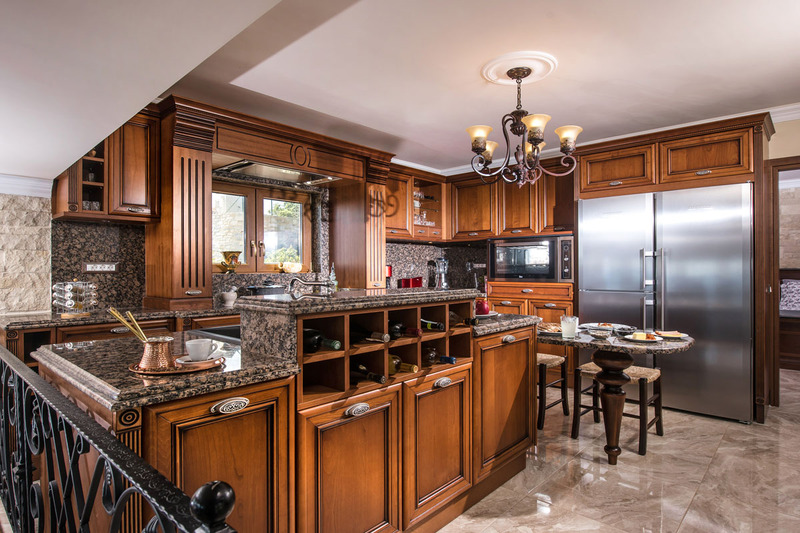 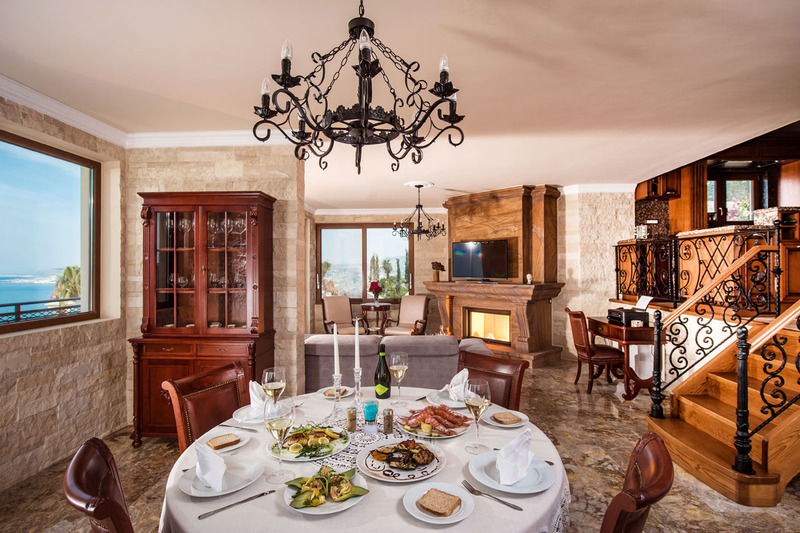 The kitchen is equipped for the best of chefs, but a great restaurant is only steps away from the villa gates when even they would like a break from cooking. 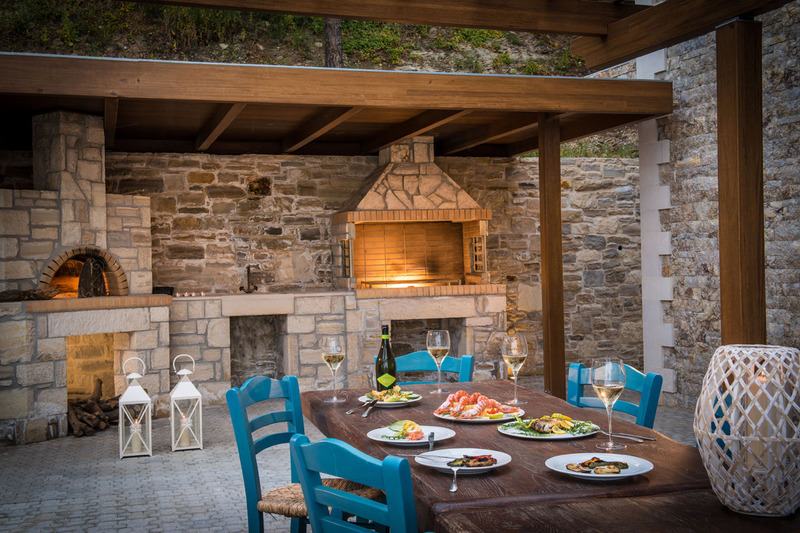 Just outside the front door is a gorgeous outdoor barbecue area with a "monk`s" table and seating for 12. 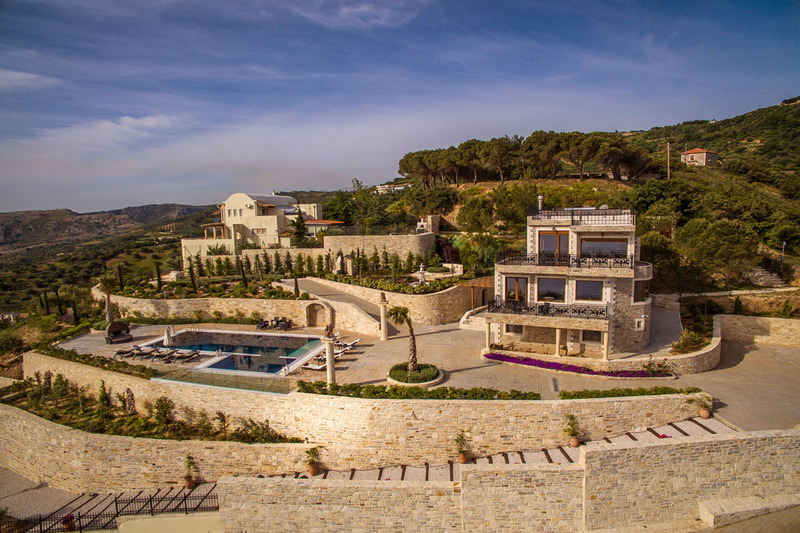 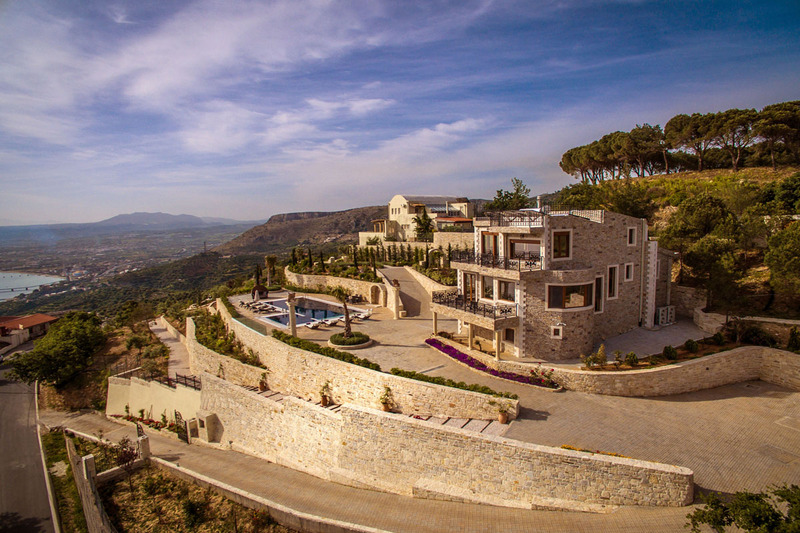 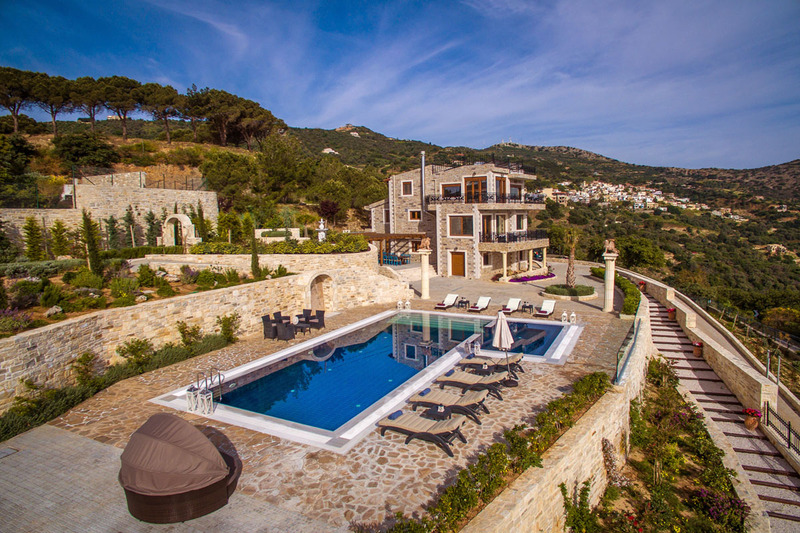 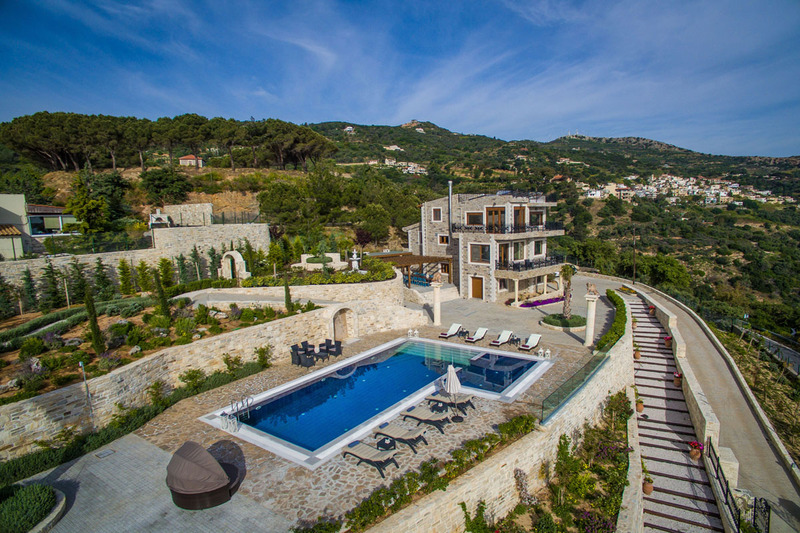 There is a barbecue grill and a real pizza oven, situated at the base of the surrounding hill, giving the guests fantastic opportunities for private dinner parties with their intimate family and friends. 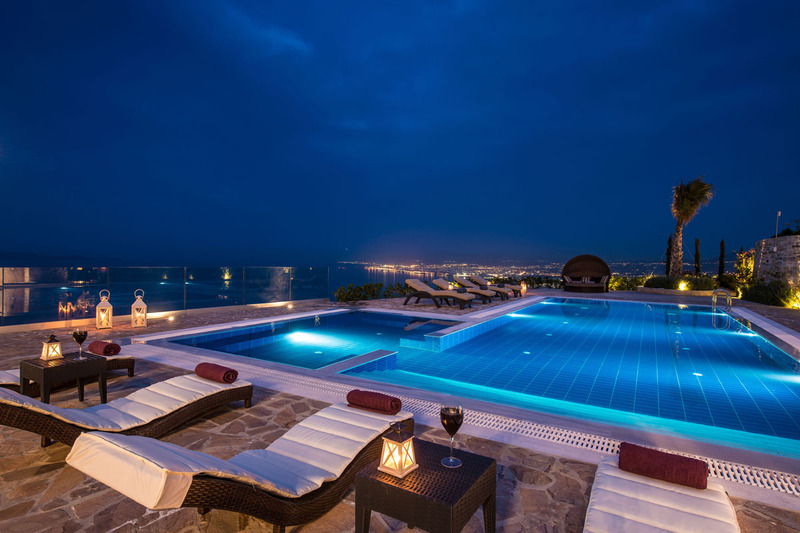 The poolside area is ideal for private parties that can accommodate as many as 150 people. 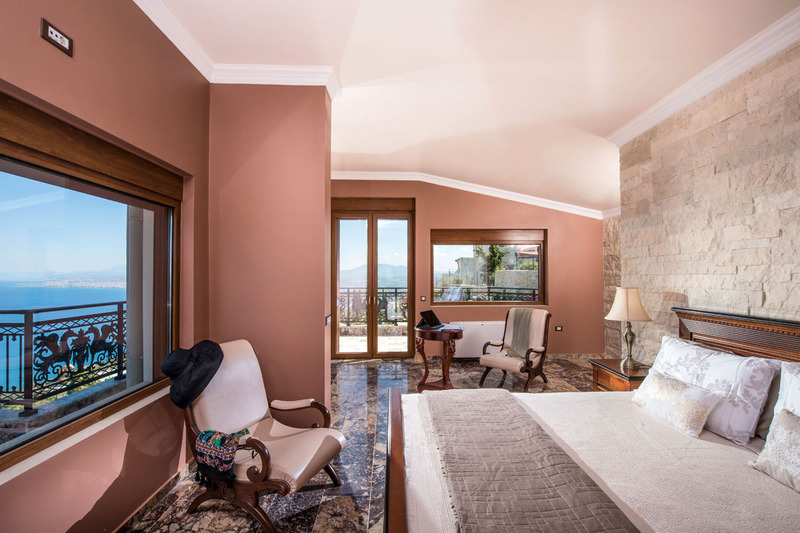 This is truly a vacation destination for the guest who is looking for something more from life, someone who demands the height of luxury. 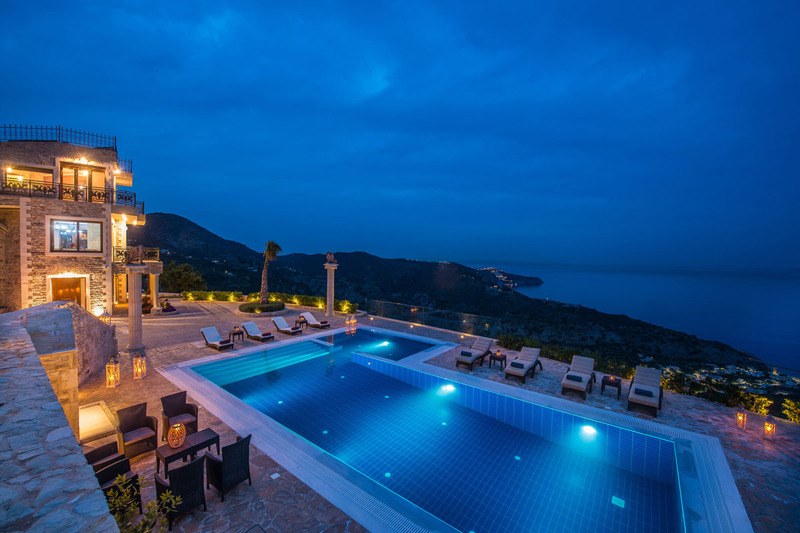 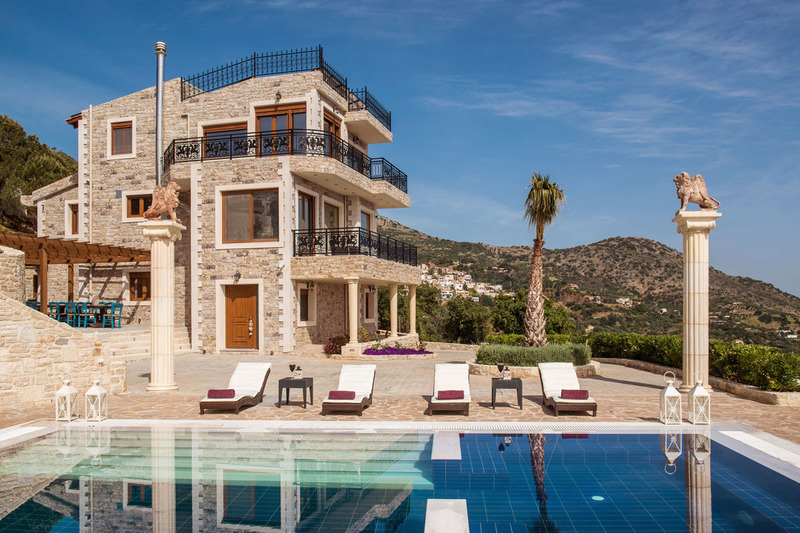 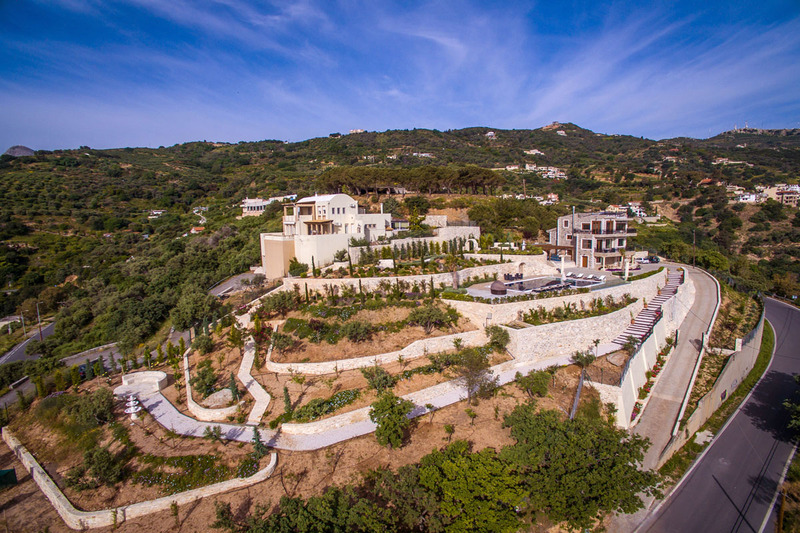 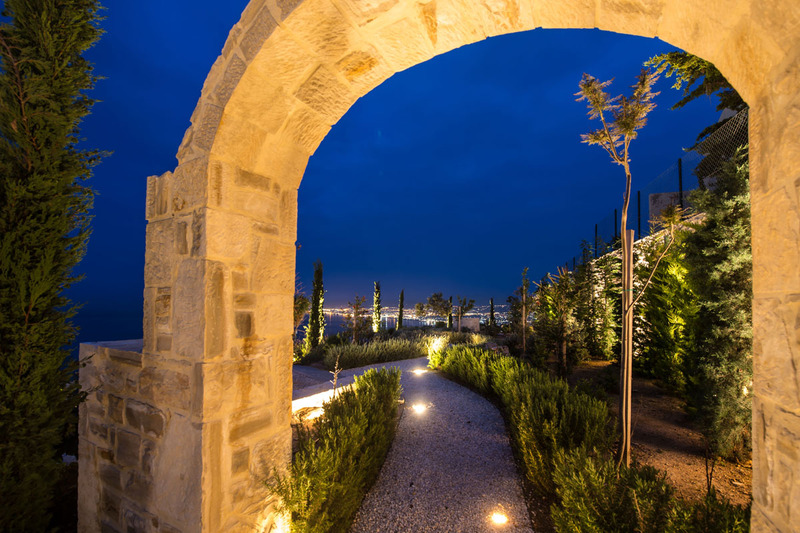 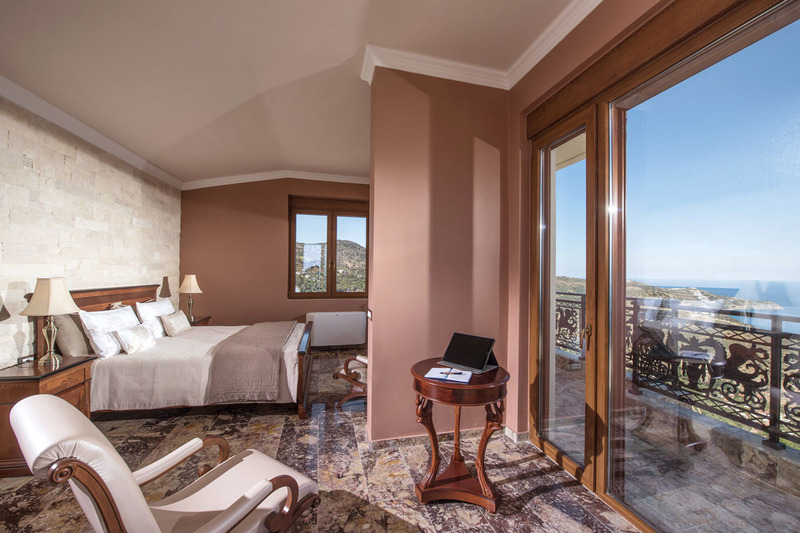 At the Villa Bella Mare, the splendor of Cretan luxury is yours for the taking. 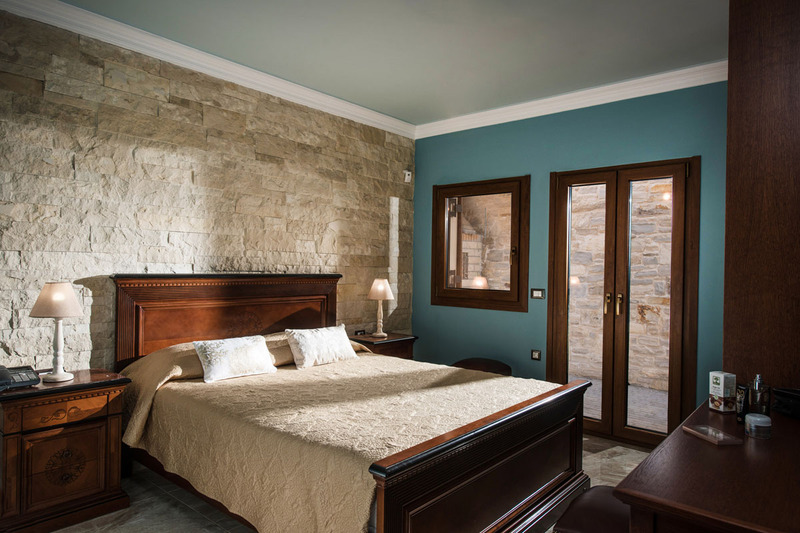 Come and stay with us. 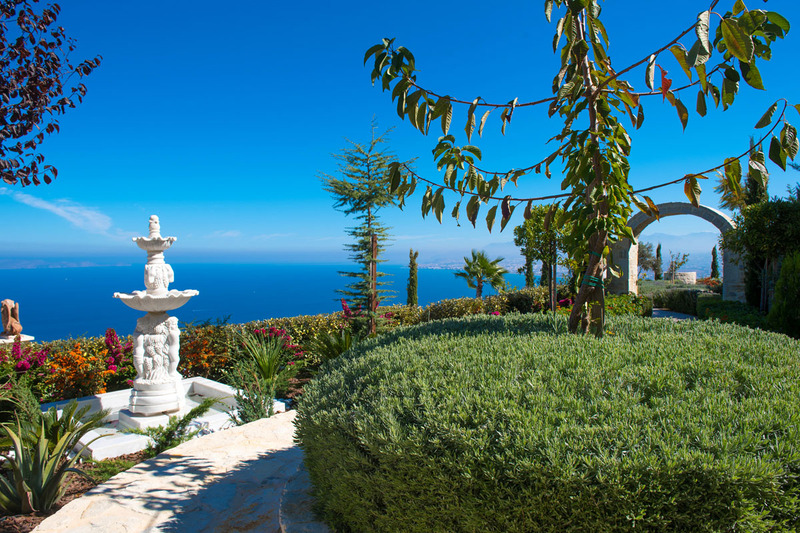 Guests will be immersed in a private Eden, filled with flowers and scented trees which overlook the dramatic blue hues of the Mediterranean Sea. 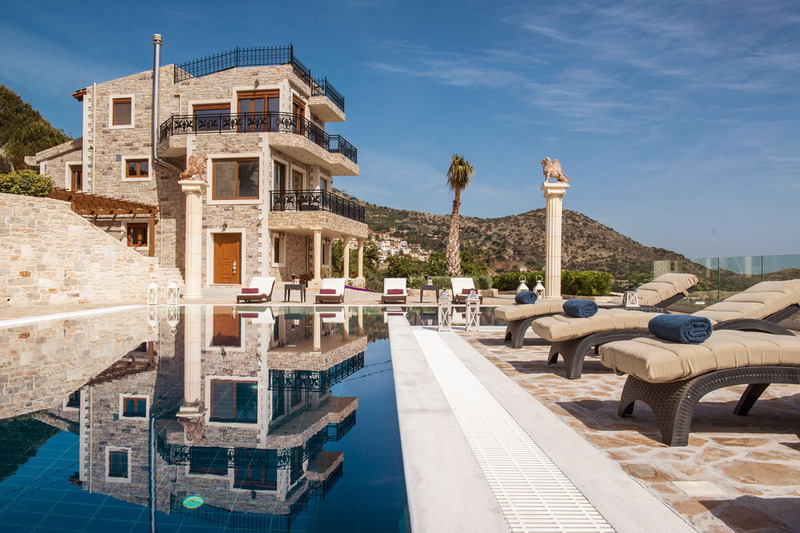 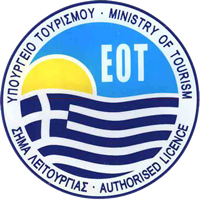 However, this paradise is not so remote that guests will feel cut off from the all the joys Crete has to to offer. 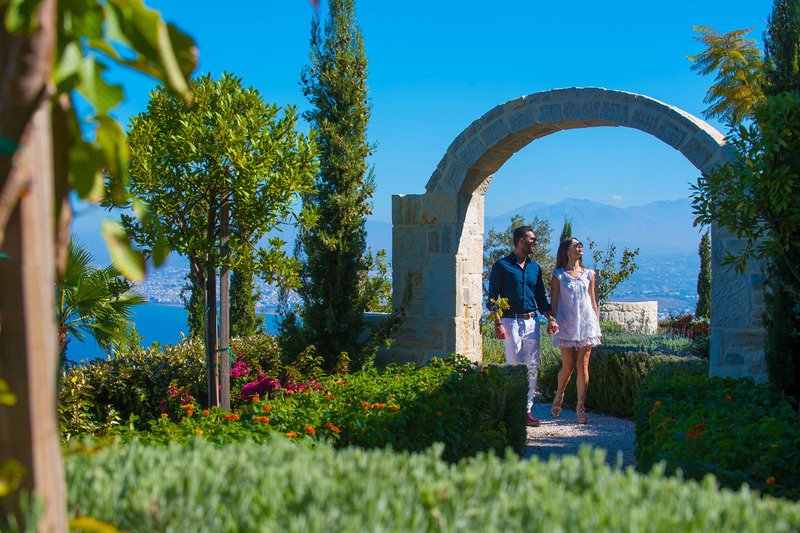 A short walk up the mountain leads guests to some of the best dining on the island at the best tavernas. 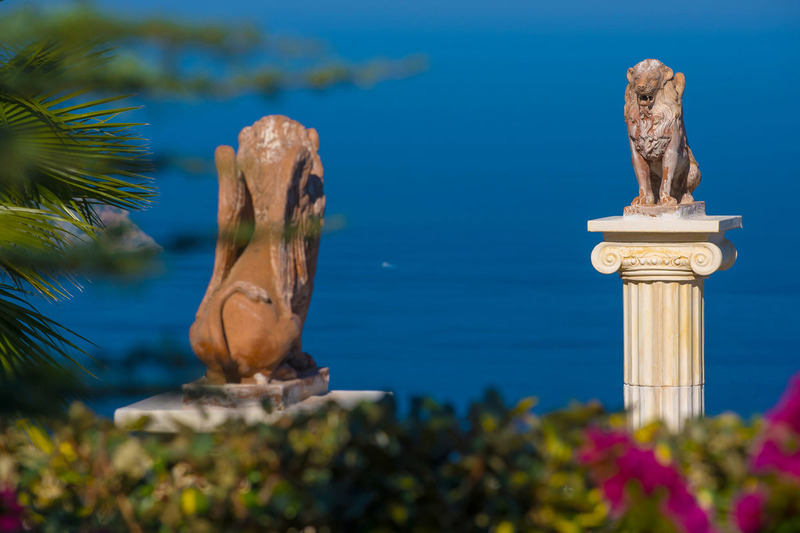 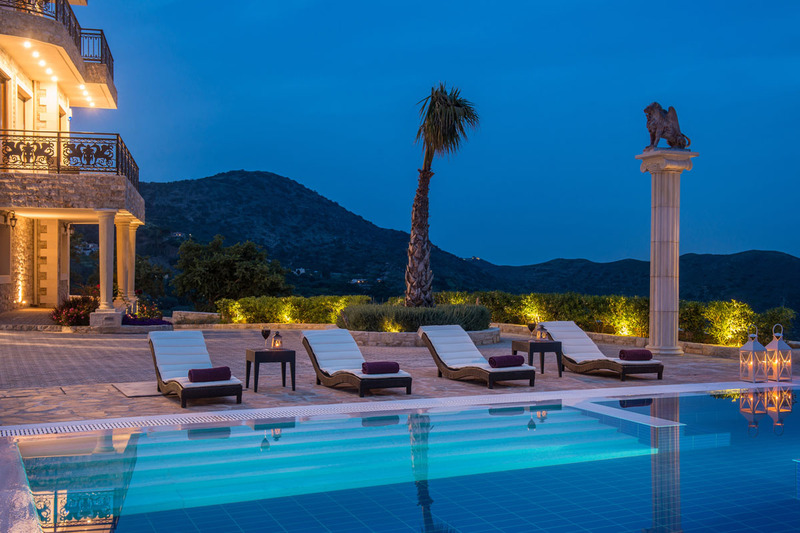 After a meal fit for the gods, guests can return to the villa for a swim in the luxurious infinity pool, and swim the fine line that blurs their view with the the panoramic vista of the Mediterranean Sea.